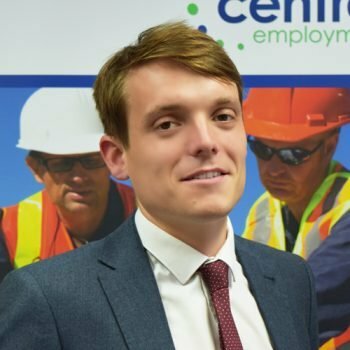 Kevin joined Central Employment as one of our graduates, having completed a foundation degree in Construction Management & honed his skills in Customer Service. Kevin wanted to develop his career in recruitment & with his knowledge in construction he will now focus on strengthening Central’s profile in the Trades, Labour, Mechanical & Engineering division. Kevin has a strong interest in football & currently plays for a Saturday boys club.